For rappelling, caving, rescue, fixed-rope applications, hauling, and life-safety applications. 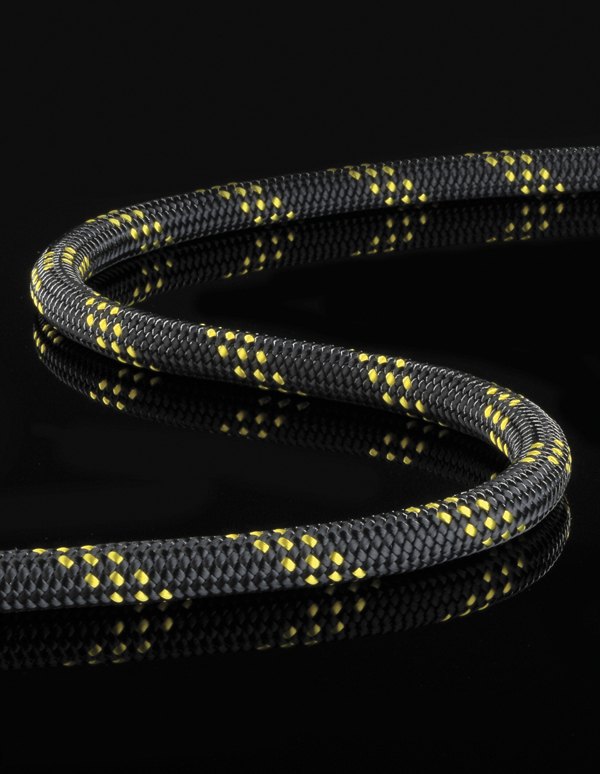 Our unique polyester sheath differentiates KM-III from other static ropes. The polyester sheath is balanced with a nylon core to limit rotation, bouncing, and stretch with exceptional UV resistance. The sheath is braided with 32 strands to provide optimum sheath/core ratio. This allows for an incredibly smooth sheath, higher tensile strengths, and superior handling characteristics. KM-III is NFPA and CE EN 1891 approved, and comes with an NFPA certification tag and CE labels. This is one of the most durable static ropes available, with the handling and knotability you expect. Vertical Lifeline, Rappelling, Caving, Canyoneering, Work Positioning, High Lines. KM-III Max has a well balanced, low rotation, unique twill design. It is a perfect static rope for work placement and smooth descents. Our KM-III Max features our TPT construction that results in a smoother cover reducing drag and creating a more fine control on descents. The smooth, low profile sheath allows for better braking, faster ascending, and exceptional abrasion resistance. Originally designed for work placement applications, KM-III Max is an excellent choice for heavy exposure fixed lines, big wall hauling, caving, and a variety of rescue applications.